The Russell Hobbs 21410 Mode 2 Slice Black Toaster is a good-looking appliance with all the function and features you’d expect from Russell Hobbs. With its striking gloss black plastic housing and stainless steel accents it’s packed with helpful features including extra wide slots to easily toast thicker slices of bread, crumpets or teacakes. So whatever your preference, you can enjoy all sizes of toasted bread at any time of the day. 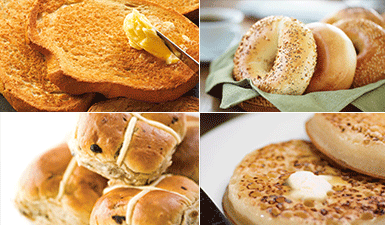 Whether you like hot crunchy crumpets or lightly toasted bagels, getting smaller sized toasty treats out of the toaster can be tricky. The clever high lift function allows you to lift the carriage that little bit higher to get hold of your toast so no more toasted fingers trying to get your crumpets out. The 21410 Mode Toaster features a frozen bread function that allows you to toast bread straight from the freezer - a great time saver if you’re rushing around in the morning. If your toast is ready before you are, the handy reheat function means you can still enjoy delicious hot toast without risking burning it. For cleaner kitchen, the built-in crumb tray can easily slide in and out and keeps your work surfaces mess free and stops bits getting everywhere. 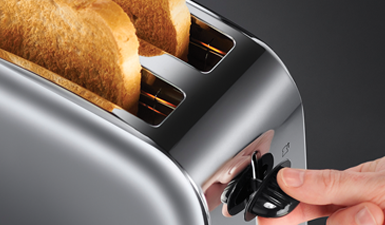 Use the Lift & Look function to check on the progress of your toast as it browns without having to cancel the cycle.